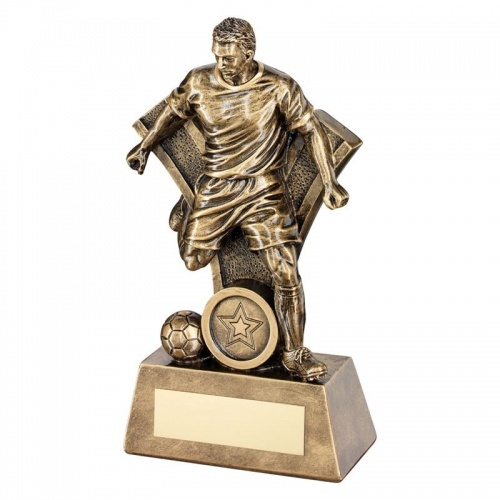 Perfect as individual player trophies for achievements such as Player of the Year or Top Goalscorer, these football player awards are made in resin with an antique bronze colour finish. They comprise a detailed figure of a player along with a 1in centre and football, mounted on a bevelled base with engraving plaque. Stands 7.25in / 184mm tall, offered with text and/or logo engraving options.